Back in 2015, I wrote about Firefox’s screenshot utility, which used to be a command in the GCLI. Well, the GCLI is gone now, but the coders at Mozilla have brought command-line screenshotting back with :screenshot, currently available in Firefox Nightly and Firefox Dev Edition. It’s available in the Web Console (⌥⌘K or Tools → Web Developer → Console). Once you’re in the Web Console, you can type :sc and then hit Tab to autocomplete :screenshot. From there, everything is the same as I wrote in 2015, with the exception that the --imgur and --chrome options no longer exist. There are plans to add uploading to Firefox Screenshots as a replacement for the old Imgur option, but as of this writing, that’s still in the future. Copies the image to your OS clipboard for pasting into other programs. Prevents saving to a file unless you use the --file option to force file-writing. The time in seconds to wait before taking the screenshot; handy if you want to pop open a menu or invoke a hover state for the screenshot. You can use any number, not just integers. The Device Pixel Ratio (DPR) of the captured image. Values above 1 yield “zoomed-in” images; values below 1 create “zoomed-out“ results. See the original article for more details. 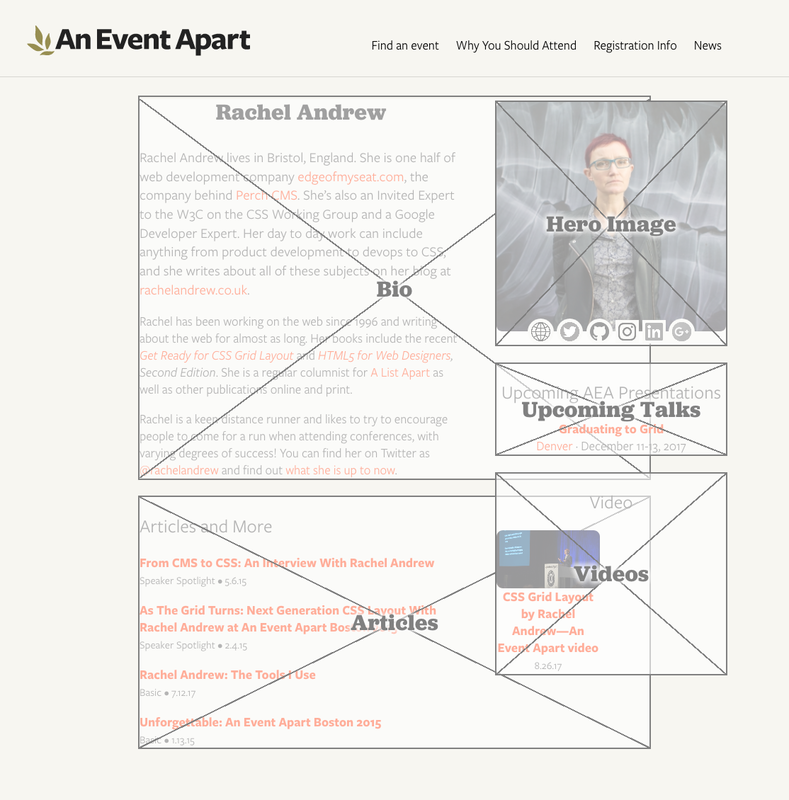 Captures the entire page, not just the portion of the page visible in the browser’s viewport. For unusually long (or wide) pages, this can cause problems like crashing, not capturing all of the page, or just failing to capture anything at all. 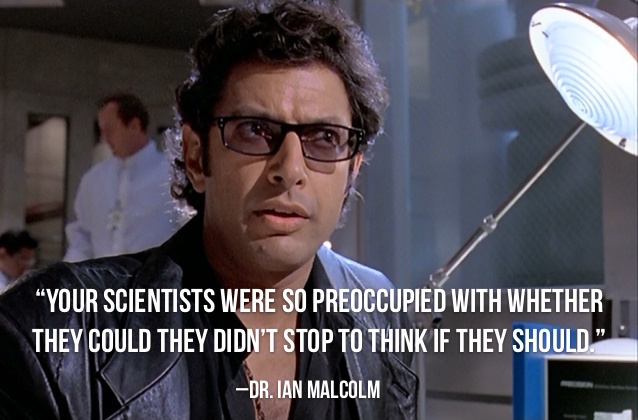 Accepts a CSS selector and captures only that element and its descendants. When true, forces writing of the captured image to a file, even if --clipboard is also being used. Setting this to false doesn’t seem to have any effect. Allows you to set a filename rather than accept the default. Explicitly saying --filename seems to be optional; I find that writing simply :screenshot test yields a file called test.png, without the need to write :screenshot --filename test. YFFMV. I do have one warning: if you capture an image to a filename like test.png, and then you capture to that same filename, the new image will overwrite the old image. This can bite you if you’re using the up-arrow history scroll to capture images in quick succession, and forget to change the filename for each new capture. If you don’t supply a filename, then the file’s name uses the pattern of your OS screen capture naming; e.g., Screen Shot 2018-08-23 at 16.44.41.png on my machine. I still use :screenshot to this day, and I’m very happy to see it restored to the browser—thank you, Mozillans! You’re the best. In the course of experimenting with an example design for my talks at An Event Apart this year, I came up with a way to keep track of which breakpoint was in force as I tested the design’s responsiveness. I searched the web to see if anyone else had written about this and didn’t come up with any results, so I’ll document it here. And probably also in the talks. What I found was that, since I was setting breakpoints in ems instead of pixels, the responsive testing view in browsers didn’t really help, because I can’t maintain realtime mapping in my head from the current pixel value to however many rems it equals. Since I don’t think the browser has a simple display of that information, I decided I’d do it myself. The labels can be any string you want, so you can use “Narrow”, “Wide”, and so on just as easily as showing the measure in play, as I did. The downside for me is that we automatically can’t make the labels cumulative in native CSS. That means the order the @media blocks appear will determine which label is shown, even if multiple blocks are being applied. As an example, given the styles above, at a width of 25em, the label shown will be <50em even though both the 38em and 50em blocks apply. That’s not a solution that scales, sadly. Probably better to sort the max-width media blocks in descending order, if you think you might end up with several. The upside is that it’s easy to find and remove these lines once the development phase moves to QA. Even better, before that point, you get a fully customizable in-viewport indication of where you are in the breakpoint stack as you look at the work in progress. It’s pretty trivial to take this further by also changing the background color of the little box. Maybe use a green for all the block above the “standard” set, and a red for all those below it. Or toss in little background image icons of a phone or a desktop, if you have some handy. So that’s the quick-and-dirty little responsive development hack I came up with this morning. I hope it’s useful to some of you out there—and, if so, by all means share and enjoy! Addendum: Emil Björklund proposes a variant approach that uses CSS Custom Properties (aka CSS variables) to implement this technique. 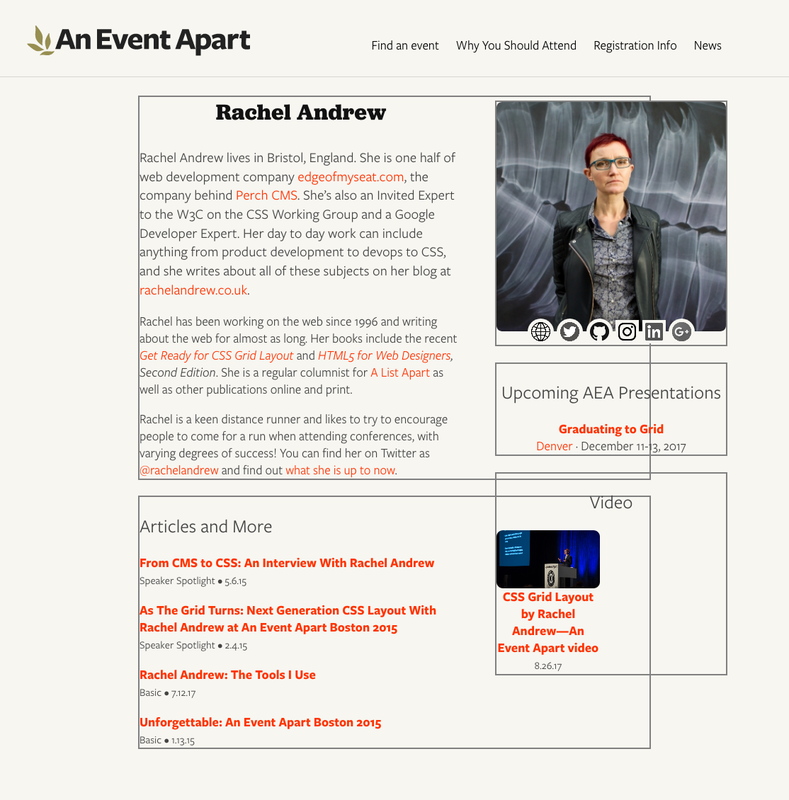 I was recently noodling around with some new layout ideas for An Event Apart’s speaker pages (e.g., Chris Coyier’s or Jen Simmons’) and wanted to share the ideas with other members of the team. But what I really wanted to show was wireframes to convey basic arrangement of the pieces, since I hadn’t yet done any time polishing details. I thought about taking screenshots and Photoshopping wireframe boxes over the various layout pieces, but then I wondered: could I overlay boxes on the live page with CSS? Or perhaps even create and overlay them with nothing but some declarations and a wanton disregard for the sensibilities of god or man? And that’s when I realized…I could. Now I’m going to share my discovery with you. Before I get started, I want to make one thing clear: this isn’t backward compatible. I don’t care. It doesn’t need to be. It does work in the latest versions of Firefox and Chrome, within reasonable tolerances—Chrome falls a bit short on one aspect, which I’ll point out when we get there. All good? Then let’s go. The goal was creating X-filled boxes that wireframers love so very, very much. I figured, any container element that needs to have a box stuck over it gets a class of wireframe. The boxes overlap each other because the layout pieces on the right are, at least for the moment, floated. They’re laid out that way so that if the right-hand content is short and the bio and articles run long, they can wrap around below the ‘sidebar’. It’s generally useful to have the outlines showing the actual limits of the element boxes to which they’re attached. There is a potential drawback here: if your layout involves using negative margins to pull some elements out of their parents, and those parent elements are designated as wireframe boxes, outlines will stretch around the outhanging elements in Firefox, though not in Chrome. Borders do not act the same way in Firefox. I can’t rightly call this a bug, because I’m honestly not sure what outlines should do here. Just be aware of it, is what I’m saying. Anyway, drawing rectangles with outlines, that’s the easy part. Now I needed two diagonal lines, going from corner to corner. But how? Linear gradients, that’s how. See, if you use quadrant-based directions for your gradients, special magic math happens under the hood such that at the exact midpoint of the gradient, the color-line that extends perpendicularly off the gradient ray shoots precisely into the corners of the two quadrants adjacent to the quadrant into which the gradient ray is pointing. Okay, that was probably hard to follow. For example, set the gradient direction as to top right and the 50% color line of the gradient will run into the top left to the bottom right corners. Okay, that’s one diagonal line. The other is literally a copy of the first, except for having it go toward a different quadrant. Bingo: an X. But not one that scales terribly well. Using percentages there means that the gray lines will be as thick as 0.2% the total length of the gradient ray. Small boxes get thin, sometimes broken diagonals. Great big boxes get thick honkin’ lines. So I fixed it with calc(). And there you go: two-pixel-thick diagonal lines. There are two things to note here, before we move on. First is that the spaces around the operators in the calc() values are intentional and, more to the point, necessary. If you remove one or both of those spaces, calc() will simply fail to work. In other words, calc(50%-1px) will fail—no background for you! This is as designed, and there are reasons for it I don’t want to go into here, but suffice to say they exist and are arguably sensible. calc(50% - 1px), on the other hand, works as intended. Well, mostly: this is where Chrome comes up a bit short. In large boxes, Chrome creates fuzzy lines thicker than 2 pixels. I’m not sure what it’s doing to fudge the numbers here, but it sure seems like it’s fudging something. The lines also don’t go into the corners quite as precisely as they should. Firefox’s lines, on the other hand, come out correctly sized no matter what box size I set up, even if they are a bit jagged at times, and they go exactly into the corners of all the boxes I tested. Chrome’s sloppiness here isn’t a deal-breaker, as far as I’m concerned, but it’s there and you should know about it. So that’s an element with an outer edge and two diagonal lines. This is great as long as the box contains no actual content, which will sit on top of the diagonals, as you can see with the “hero image” in the top right. Maybe that’s what you want, in which case great, but I specifically wanted overlays. That way I could stick them on a live page and sort of fade out the contents while sticking wireframe boxes on top, to make the boxes the focus while still showing the stuff inside them. The stupidly large z-index on the ::before is there to put the box overlay above any gridded, flexed, or positioned content that has an automatic z-index, or at least a sensible one. You can raise it as high as you’d like (and your browser’s bit-depth will allow). 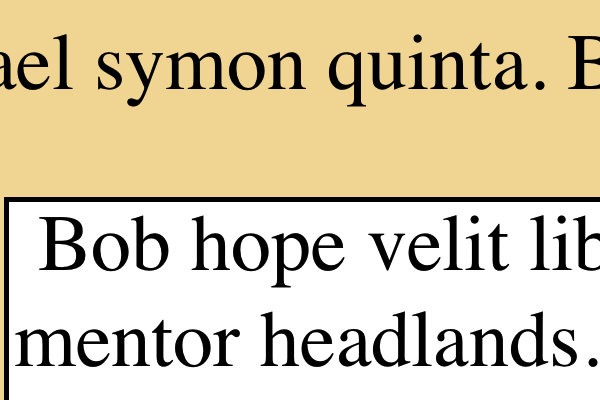 The small z-index on the elements themselves, on the other hand, makes sure they get an explicit stacking placement instead of an automatically-assigned place on the Z axis. I find this generally settles a number of odd behaviors in various browsers. Your experience may vary. It was at this point that I realized there was a whole other level here. 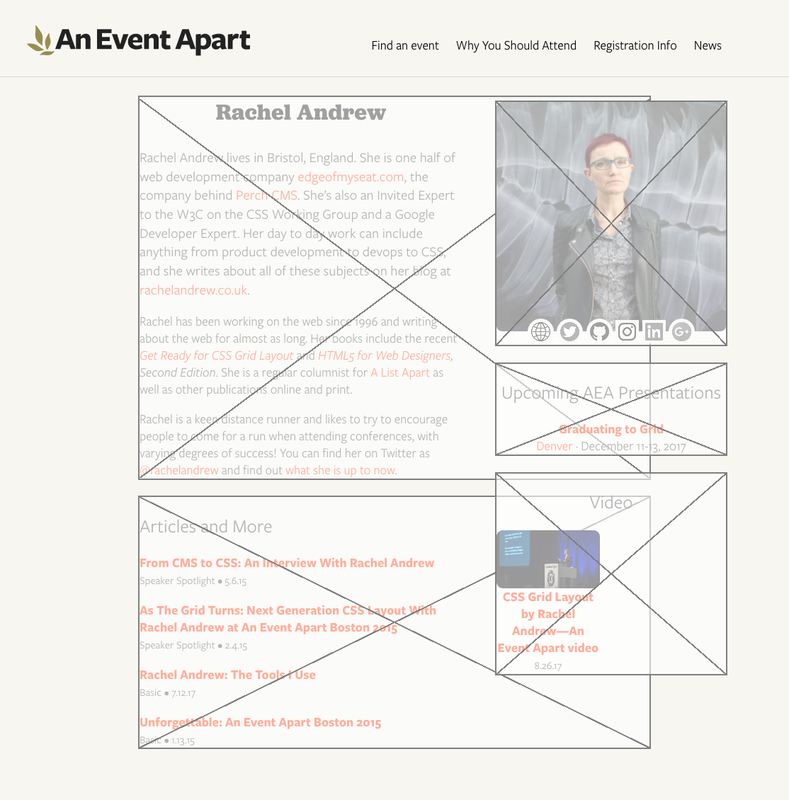 I mean, wireframe boxes stretched over content is pretty nifty all by itself. That could have been enough. But it wasn’t. Because what I realized was that I didn’t just want wireframe boxes, I wanted labeled wireframe boxes. If a box was being applied to a list of articles, then I wanted a great big “Articles” label sitting in the middle of it, to make it obvious what was being placed there. Well, there was already a content property just sitting there, waiting to throw in actual content instead of an empty string, but how to fill it? And that’s when I knew that .wireframe’s days were numbered. Having done that, I could modify the CSS to insert the attribute value, style the inserted text to look nice, and use flexbox properties to center it in the box. So I did. That yielded big beautiful bold Jubilat labels (Jubilat is one of AEA’s brand font faces), sitting right on top of the center of the box, the crossing of the two diagonal lines behind them. Which actually turned out to be a small problem for me. That text is certainly readable, but I wanted it to stand out a bit more from the diagonals. I decided to stack text shadows in order to semi-simulate outside text stroking. It’s possible to use just four offset shadows with minimal or zero blur, but I find it sometimes creates weird jags on serif fonts, so I like stacking blurred shadows better. But, again, you do you. As I looked over the results, it slowly dawned on me that the white-on-gray box scheme works well enough for a starting wireframe setup with no branding applied, but I was planning to drop these on pages with actual design and colors and that sort of thing. I didn’t want the boxes to fill with translucent white; I wanted them to be translucent versions of the page background color. And, furthermore, I wanted a way to be able to easily alter that color, when applied to different designs. Custom properties to the rescue! Which is to say, native CSS variables to the rescue! I could have assigned the variable to the [data-wf] rule instead of html, but I felt like setting them globally. Because that’s how I roll, yo—Wulf & Shaw have no strings on me. If you want to bring the variables in closer, go for it. While I was there, I figured, why not, let’s also define a variable for the shared color of the outlines, diagonals, and label text. The label could be broken out to use its own variable (e.g., --text or --label) easily enough, but I wanted a minimum of things to change. I know myself too well to set up a bunch of controls to fiddle with, especially where color is concerned. And with that, I had a ready-to-hand, easily theme-able wireframing style block that I can drop into any development page and invoke simply by adding a few data attributes to the markup. Data attributes, I might add, that would be trivially easy to later find and remove with regular expressions. It’s a quick way to make it clear to stakeholders that a work in progress is, in fact, in progress, as well as a handy way to visualize which pieces of a prototype layout are going where. Now that we’ve come to the end and you’re still hanging in there with me, let me just say that I hope you’ve enjoyed this little trip through various parts of CSS. If you have any questions, feel free to drop them in the comments below. I’ll do my best to respond in reasonable amounts of time, travel and such permitting. P.S. And one final note, as Kai Ryssdal would say: every bit of CSS I used here is covered in CSS: The Definitive Guide, 4th Edition . I turned to my print copy twice in the process of working all this out, as it happens, to remind myself of specific syntax (for custom properties) and whitespace requirements (for calc() operators). It really feels good to have a thing I made be useful to me! The Graphical Command Line Interpreter (GCLI) has been removed from Firefox, but screenshot has been revived as :screenshot in the Web Console (⌥⌘K), with most of the same options discussed below. Thus, portions of this article have become incorrect as of August 2018. 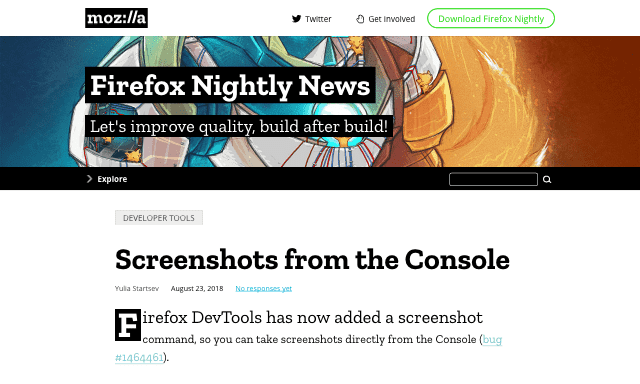 Read about the changes in my post Firefox’s :screenshot Command. Everyone has their own idiosyncratic collection of tools they can’t work without, and I’ve recently been using one of mine as I produce figures for CSS: The Definitve Guide, Fourth Edition (CSS:TDG4e). It’s Firefox’s command-line screenshot utility. To get access to screenshot, you first have to hit ⇧F2 for the Developer Toolbar, not ⌥⌘K for the Web Console. (I know, two command lines—who thought that was a good idea? Moving on.) Once you’re in the Developer Toolbar, you can type s and then hit Tab to autocomplete screenshot. Then type a filename for your screenshot, if you want to define it, either with or without the file extension; otherwise you’ll get whatever naming convention your computer uses for screen captures. For example, mine does something like Screen Shot 2015-10-22 at 10.05.51.png by default. If you hit [return] (or equivalent) at this point, it’ll save the screenshot to your Downloads folder (or equivalent). Done! Except, don’t do that yet, because what really makes screenshot great is its options; in my case, they’re what elevate screenshot from useful to essential, and what set it apart from any screen-capture addon I’ve ever seen. The option I use a lot, particularly when grabbing images of web sites for my talks, is --fullpage. That option captures absolutely everything on the page, even the parts you can’t see in the browser window. See, by default, when you use screenshot, it only shows you the portion of the page visible in the browser window. In many cases, that’s all you want or need, but for the times you want it all, --fullpage is there for you. Any time you see me do a long scroll of a web page in a talk, like I did right at the ten-minute mark of my talk at Fluent 2015, it was thanks to --fullpage. If you want the browser --chrome to show around your screenshot, though, you can’t capture the --fullpage. Firefox will just ignore the -fullpage option if you invoke --chrome, and give you the visible portion of the page surrounded by your browser chrome, including all your addon icons and unread tabs. Which makes some sense, I admit, but part of me wishes someone had gone to the effort of adding code to redraw the chrome all the way around a --fullpage capture if you asked for it. Now, for the purposes of CSS:TDG4e’s figures, there are two screenshot options that I cannot live without. I captured this using screenshot fb-trend --selector '#u_0_l'. 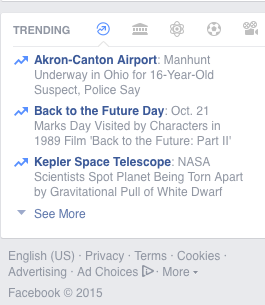 That saved exactly what you see to fb-trend.png. The first is --selector, which lets you supply a CSS selector to an element—at which point, Firefox will capture just that element and its descendants. The only, and quite understandable, limitation is that the selector you supply must match a single element. For me, that’s usually just --selector 'body', since every figure I create is a single page, and there’s nothing in the body except what I want to include in the figure. So instead of trying to drag-select a region of the screen with ⇧⌘4, or (worse) trying to precisely size the browser window to show just the body element and not one pixel more, I can enter something like screenshot fig047 --selector 'body' and get precisely what I need. That might seem like a lot to type every time, but the thing is, I don’t have to: not only does the Web Toolbar have full tab-autocomplete, the Toolbar also offers up-arrow history. So once I’ve tab-completed the command to capture my first figure, I just use the up arrow to bring the command back and change the file name. Quick, simple, efficient. The second essential option for me is --dpr, which defines a device pixel ratio. Let’s say I want to capture something at four times the usual resolution. --dpr 4 makes it happen. Since all my figures are meant to go to print as well as ebooks, I can capture at print-worthy resolutions without having to use ⌘+ to blow up the content, or fiddle with using CSS to make everything bigger. Also if I want to go the other way and capture a deliberately pixellated version of a page, I can use something like --dpr 0.33. I have used this occasionally to size down an image online: I “View Image” to get it in its own window, then use screenshot with a fractional DPR value to shrink it. Yes, this is a rare use case, even for me, but hey—the option exists! I haven’t used the DPR option for my talks, but given the growing use of HD 16:9 projectors—something we’ve been using at An Event Apart for a while now, actually—I’m starting to lean toward using --dpr 2 to get sharper images. A snippet of an image I captured using --dpr 5. On-screen, the page was at 100% zoom, 16-pixel (browser default) text sizing. The resulting capture was 4000×2403 pixels. And that’s not all! You can set a --delay in seconds, to make sure a popup menu or other bit of interaction is visible before the capture happens. If you want to take your captured image straight into another program before saving it, there’s --clipboard. And there’s an option to upload straight to --imgur, though I confess I haven’t figured out how that one works. I suspect you have to be logged into imgur first. If anyone knows, please leave a comment so the rest of us know how to use it! The one thing that irks me a little bit about screenshot is that the file name must come before the options. When I’m producing a bunch of figures in a row, having to drag-select just the file name for replacement is a touch tedious; I wish I could put the file name at the end of the command, so I could quickly drag-select it with a rightward wrist-flick. But all things considered, this is a pretty minor gripe. Well, shut my mouth and paint me red—it turns out you can put the filename after the options. Either that wasn’t possible at some point and I never retested the assertion, or it was always possible and I just messed up. Either way, this irk is irksome no more! The other thing I wish screenshot could do is let me define a precise width or height in pixels—or, since I’m dreaming, a value using any valid CSS length unit—and scale the result to that measure. This isn’t really useful for the CSS:TDG4e figures, but it could come in pretty handy for creating talk slides. No, I have no idea how that would interact with the DPR option, but I’d certainly be willing to find out. So that’s one of my “unusual but essential” tools. What’s yours? At least two of our three kids had a hard time being put to sleep at night. It wasn’t so much that they objected to sleeping—once they were out, they stayed out all night—as they got very anxious about being left alone. I’m not talking about one-week-olds here; I’m talking more the 3-9 month range. We’d cuddle them to sleep, put them down very gently, cautiously trace a silent path along the non-creaking floorboards, noiselessly pull the door shut…and then the wailing would start. But then we noticed that when we went back in to pick them and soothe them, they would take a great big indrawn breath, hold it, release, and settle down. We wondered: could they be relaxing because they smelled us, and that scent was triggering feelings of comfort and safety? From then on, we would put the little one down to sleep, take off our shirt, and arrange the shirt in a wide horseshoe around the head and upper body of the sleeping baby, at least a foot separated on every side to avoid smothering risks. And…it worked. There was a lot more sleeping and a lot less waking up wailing. The scent seemed to give them what they needed to stay relaxed and asleep. It probably won’t work for every child who has trouble sleeping, but if you’re having the same problem we did, try (safely!) surrounding them your shirt or some other article of clothing that smells like you. It might be just what they need to settle down and let you get some rest. When you have children who are new to walking, getting things out of a car while in a parking lot can be a nerve-wracking experience: you know that your kid is capable of walking in any direction, and also that they’re not really aware of the dangers a parking lot can contain. Following the philosophy of “don’t baby-proof the environment, make the baby proof for the environment”, we had two parking lot rules that worked out pretty well, used for different stages of development. Hand on the car. When out of the car, one of the child’s hands must always be touching the car unless a parent is holding their hand. This sets a bound on how far away they can get from you. Feet on the yellow line. The lines separating parking spaces are treated as if they’re balance beams. The child can walk along the line, but not step off of it, unless a parent is holding their hand. This keeps the child between cars and away from the flow of traffic. Obviously, these require training periods, and during that training you have to keep an eagle eye on the kid. And of course you can’t rely on these rules to keep your children completely safe in a parking lot—only you can do that. In our experience, though, it greatly reduced our stress levels even in busy Christmas-time lots; plus, it was another way to stress the importance of both safety and obedience. I get asked from time to time for my number one tip for new parents. My answer is always a single word. Seriously. Get some earplugs. They don’t have to be fancy; the squishy yellow foam plugs you can get in a cardboard holder for a dollar work just fine. If you already have some fancier in-ear jobs for rock concerts or woodworking or whatever, those are good too. Because as much as you love your new baby, and as much as you will work to keep them calm and happy, there will almost certainly be times when they are hurting or uncomfortable or just generally upset and unable to be soothed. No matter how much you cuddle and sing and swaddle, they will scream and cry. Some kids will do this rarely. Others will do it all the time. (A friend of ours tells how her eldest child screamed more or less non-stop from the day she was born until the day she walked.) I don’t honestly know which is harder to handle, but I do know that the screaming worked its way through my eardrums and into my brain to induce a panicked pseudo-flight-or-flight response. It was cumulatively, enormously stressful. Earplugs do not shut out the cries completely. You will not be denying your baby’s distress or placing unwarranted distance between you and your child. Earplugs simply take the raw, serrated edge off their cry, giving you some mental space to cope with it and be a calmer and therefore better parent. It lets you hang in there longer, putting off the point where you have to put the baby in the crib and walk away for a few minutes. (And that’s okay too; the baby won’t die if you take five to regroup.) That means more direct contact with your baby, and possibly a shorter time to a calm baby due to longer, more continuous periods of parental contact. So: earplugs. Probably the highest-ROI parental purchase I ever made.